Minerals a rocks produce amazing colors. 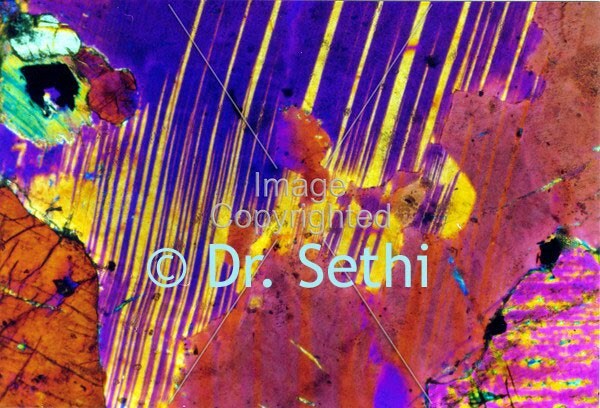 Using a polarizing microscope, Dr. Parvinder Sethi, Professor of Geology at Radford University captured these images of paper-thin slices of rocks with a 35mm film camera. To prepare the rocks, Dr. Sethi used an industrial rock saw to cut a hand-sized piece of rock, then he trimmed it with an oil-cooled saw with a diamond blade. Once it was trimmed, a square piece of the rock was glued to a glass slide and cured with heat. Next, the slide was ground by hand until it was about 30 microns thick (barely visible to the naked eye). All images were captured at 40x magnification. The images you are viewing on this page are about the size of the tip of your pencil! 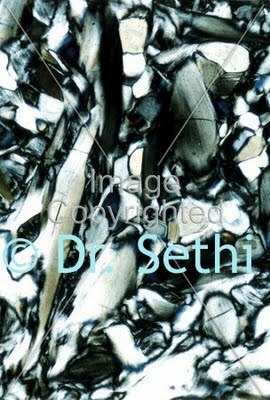 Dr. Sethi does not utilize any color alteration tools when capturing the images. 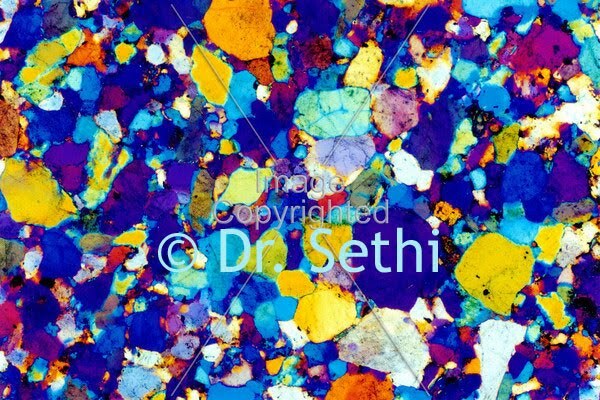 All images are exactly how they appeared under the polarized light microscope. Once Dr. Sethi captures the images, he develops the film by hand and then scans the images to the computer. 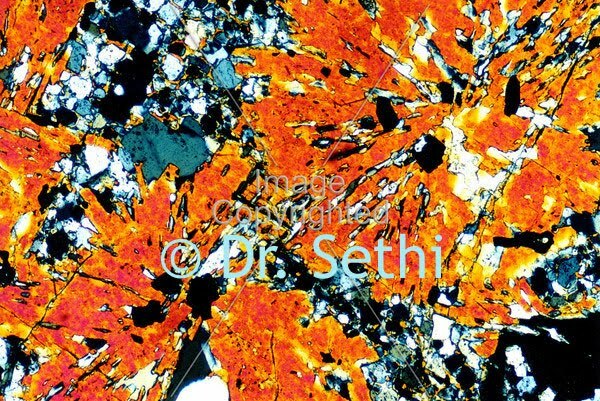 Science and art become synonymous with Dr. Sethi's work.